The government has extended the Heron Remotely Piloted Aircraft (RPA) deployment in Afghanistan until July 2014. 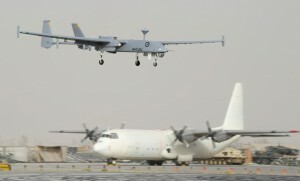 Heron has been operating in Afghanistan since January 2010 from Kandahar Air Field, providing Intelligence, Surveillance and Reconnaissance (ISR) support to the ADF in Uruzgan province and southern Afghanistan, and was expected to return to Australia at the completion of combat operations at the end of 2013. The Heron detachment will now shift focus to support coalition operations in Regional Command South during the final period of security transition to Afghan National Security Forces and the Afghan elections scheduled for April 5 next year. 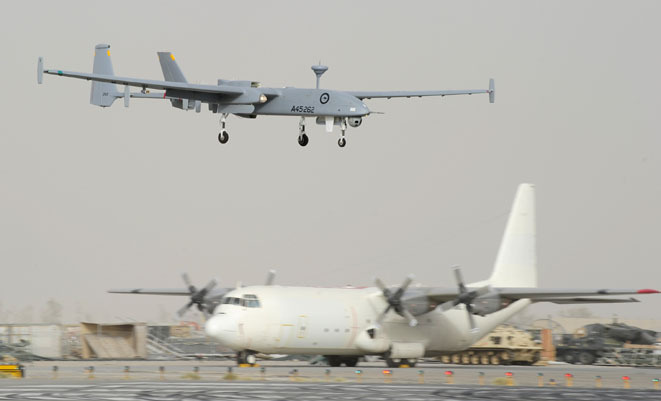 “The decision to extend the Heron RPA and its associated systems reflects Australia’s ongoing commitment to Afghanistan and the International Security Assistance Force (ISAF) through 2014. It is in line with the previously announced training and specialist contributions the ADF and the Australian Government will make in Afghanistan as our mission moves from Uruzgan to the wider Afghan nation,” Minister for Defence, Senator David Johnston said. Where next for the F/A-18?